Last weekend we went to the pictures. Not very noteworthy you may say, but there you would be wrong. 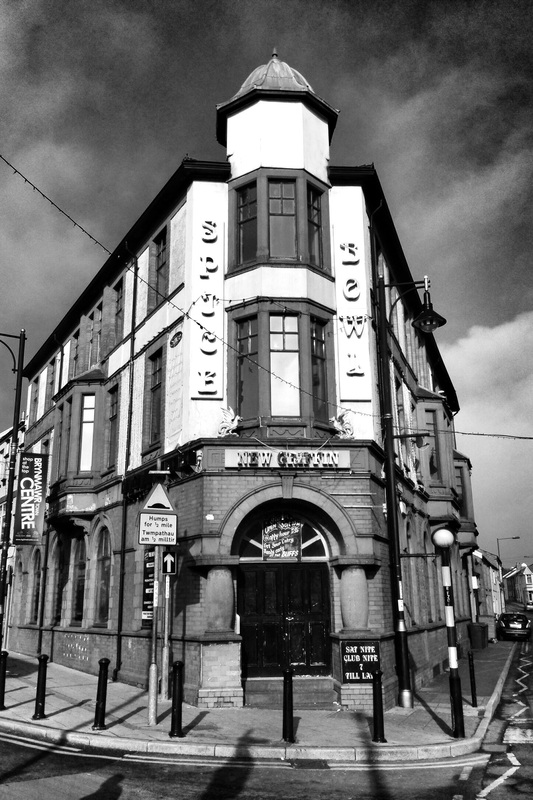 This trip was to Wales’ oldest cinema in Brynmawr. It has shown films since 1911, and unlike so many other small independent picture theatres it is still drawing the crowds. It is now named after the Market Hall which was built in 1844. 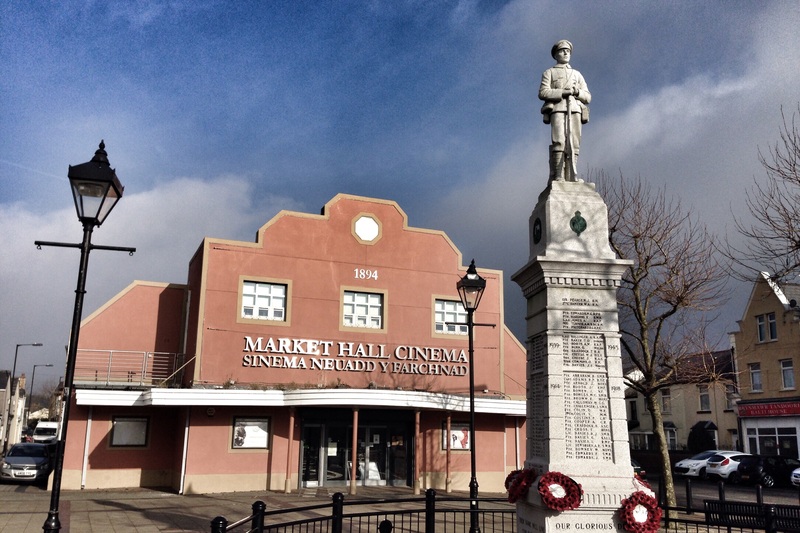 Brynmawr Cinema with the War Memorial in the Market Sqaure. The building was converted into a permanent cinema in 1911, but every Friday night the front rows of seats were removed to be replaced by trestle tables for the Saturday market. The story goes that even though the wooden flooring was washed down after the market the smell of discarded produce would linger through the afternoon matinee film. Nice thought. Now we have the sweet smell of popcorn and discarded sweet packets and soft drink cartons instead. Throughout its history the cinema has been known known as the Castle Cinema and Wyeside Cinema. The distinctive frontage was added in the 1930s as part of an extension which included an outer foyer and a projection room for the latest equipment. The arch of the original entrance can still be seen, separating the outer and inner foyers. In the 1970s the auditorium was reduced to create space for an indoor market, in the area now occupied by the library. It is now run by a community group who took over the cinema’s operation in June 2013, after the local authority proposed to close the hall. But what an experience. It brought back memories of childhood and watching films in Tywyn Cinema as a kid. You walk into through the modern entrance, but still buy your tickets at the tiny window before moving into the small foyer. The sweet shop is packed with all sorts of goodies, many of which Aunty strictly forbid me to buy. Not even an ice cream was allowed. However I could have bought a short row of 4 cinema seats for £100 if I could have got them in the car. Now that is certainly a one up on the modern multiplexes. 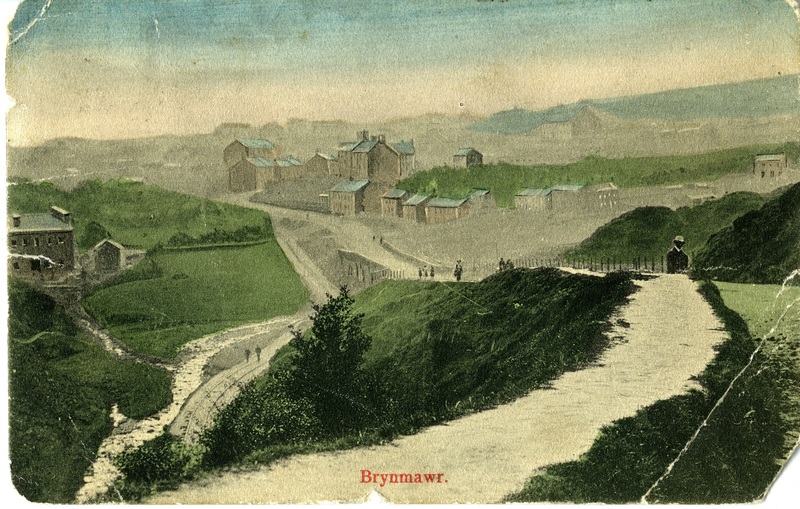 A postcard showing Brynmawr around 1900 (1). Suitably fortified with allowed sweets, but still no ice cream, we pushed our way through a pair of old wooden swing doors and climbed the short steps into the auditorium. No photos I’m afraid as my battery had run out. But the seats were old and comfortable, once a royal colour but now faded, but who cares. The smell of the wooden floor, the small screen and I was ready for a rollicking film, and Super Hero 6 fitted the bill. If you ever get the chance to go please do so. We need to support these small enterprises, and I still think it provides a bigger sense of occasion than the crowds at the large and impersonal multiplexes. The Space Bowl or New Griffin may have seen better days, but Saturday night is still “Club Nite”. Unfortunately the state of the building opposite the cinema is a reflection of the state of the town. 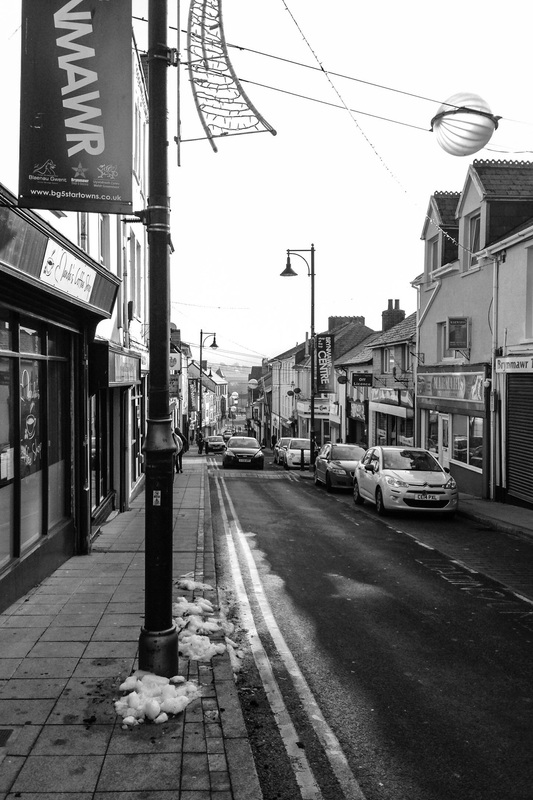 Brynmawr, is a town that lies on the northern fringe of the south Wales coalfield in what was formerly Breconshire, was one of dozens of communities that was irrevocably transformed in the 19th century by the region’s iron and coal industries. According to most sources, in 1800 the village that was once know as Waun-y-Helegyn was little more than a collection of farm cottages, yet by the early 1830s this small village had exploded into a thriving industrial community due to the nearby ironworks at Nantyglo, Clydach and Beaufort. The main high street is steep and narrow. There was still snow on the ground in places. This only seemed to emphasis the empty feeling of the town, the shops were closed even though it was still only 2 o’clock in the afternoon. In the 19th century, the town of Brynmawr grew and prospered alongside the region’s iron and coal industries, which, at their peak, employed thousands of local men. Until the last quarter of the 19th century the local iron works at Nantyglo, Clydach and Beaufort, or in the mines (coal and iron) which supported these operations, sucked in thousands of workers and their families into the town. Despite short-term economic declines, worker unrest and two deadly cholera epidemics that killed thousands in the late 1840s, Brynmawr remained an attractive alternative for those seeking industrial employment through the middle of the century, and the population of the town continued to grow. Attempts have been made recently to tidy up the town, and there were street sculptures along one of the roads. But I’m not convinced this will have helped the locals much. In the 1861 Brynmawr’s prosperity began to decline when the Clydach and Beaufort Ironworks closed. This was followed early in the next decade by the sale and eventual closure of the ironworks at Nantyglo, which dealt a final blow to the region’s economic prosperity. 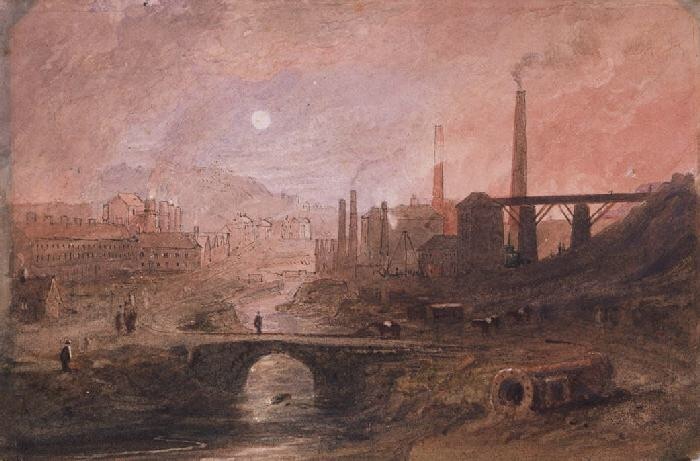 A painting of the steelworks near Brynmawr artist unknown (well to me at least). The closing of the ironworks caused a significant depopulation of Brynmawr and the surrounding region, as many of the area’s workers left to seek work in the coal mines and collieries in the nearby Rhondda. 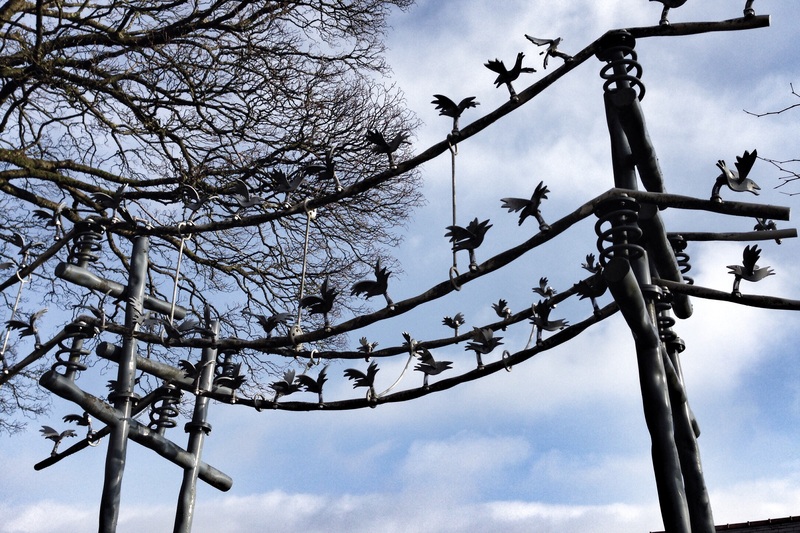 There was a brief revival in the region’s coal mining fortunes in the early 20th century, however, with the end of World War I, by the early 1920s, economic depression and unemployment in Brynmawr soon reached unprecedented levels. 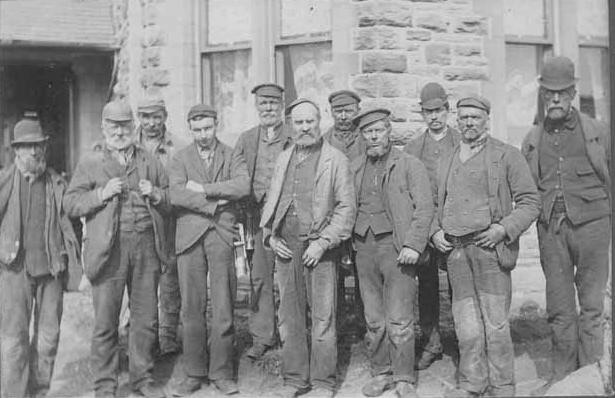 A group of 19th C coal miners from the surrounding valley. A tough looking lot doing a tough and dangerous job. 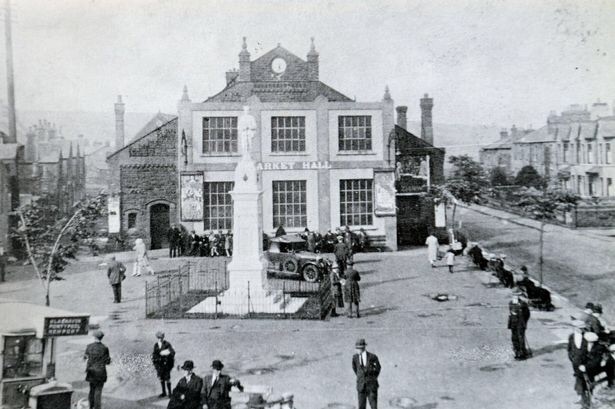 The town’s chronic unemployment problem in the 1920s large groups of unemployed men gathered around Market Square and elsewhere in the town. Some were simply passing the time, while others gathered, clinging to the hope that a passer by might offer a day’s work in return for wages or food. Hunger became a problem, as mothers went without food in order to feed their children, and idle men often spent what precious money they had at the cinema or in the local public houses. Although the Town Distress Committee attempted to aid families of the unemployed, by 1928 their resources had almost run out. 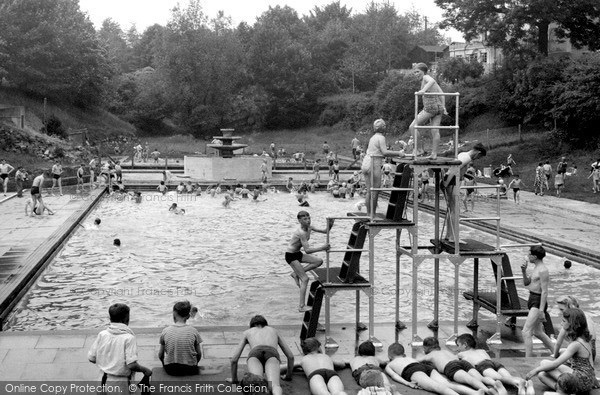 Happier, busier and more prosperous times at Brynmawr Swimming Pool. The town doesn’t seem to recovered at all in the past 80-90 years and still has the neglected feel to it. In a way is feels a sad place, holding on to the vestages of the past without any real hope for the future. I know that people living in Brynmawr will feel very different.y about their home. But to a visitor on a cold Saturday afternoon towards the end of winter I couldn’t raise any enthusiasm for the town, except for the fantastic cinema. For this they should be proud. Thanks Maureen. There is something about old cinemas, not sure what – the smell, the wooden floors, the slight air of decay even.